Cooper is a 2-year-old Old English Sheepdog that is so charming and good looking that during his session, literally every person that walked by was compelled to stop and ask about him – he even posed and had his photo taken with a senior high schooler in her prom gown! Can’t say I blame them! How often do you see a handsome beast like Cooper? We had our session at my favorite Arizona park in Scottsdale. 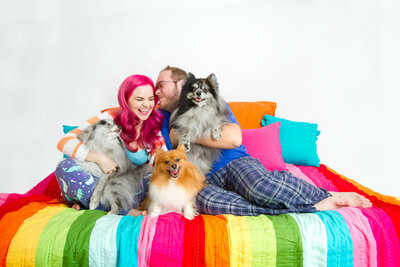 We had an amazing time with the best weather a pet photog could ask for. Cooper was amazing well-behaved – just a few liver treats and he would work wonders. His mom did an amazing job in training him! Gosh he is a gorgeous dog! Love that last photograph Kira – fantastic sky to top off a lovely location. Aw thank you! He is amazing handsome and soft too. In between shots I kept petting him. I’m shameless.